Right now, members of Congress are working on legislation to remove existing Endangered Species Act protections for wolves in four states. Thanks to these federal protections, wolf populations have increased in the northern Rockies and the Midwest. Unfortunately, wolves are still missing from the vast majority of their former range due to centuries of ruthless hunting, trapping and poisoning. Now, the House and Senate may consider legislation to strip wolves of their federal protections in Michigan, Minnesota, Wisconsin and Wyoming. If anti-wolf legislators get their way, the result will be more state-led killing of wolves and a blow to the Endangered Species Act. Take action and tell your senators and representative to oppose any anti-wolf legislation introduced in this Congress. 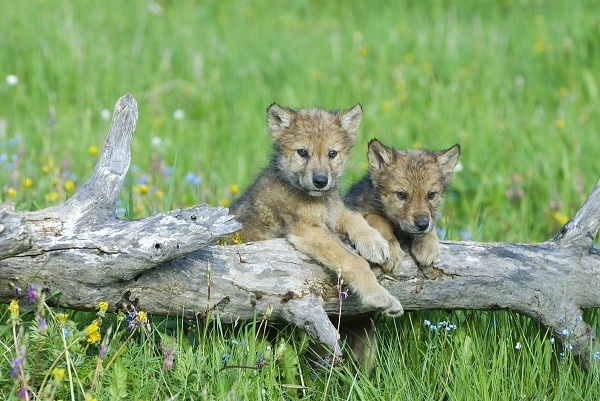 Please oppose all efforts in this Congress to remove existing federal protections for wolves. Wolves are among the most iconic symbols of the wild American landscape, once roaming freely throughout the United States. Unfortunately, centuries of trapping, hunting, and poisoning brought wolves in the continental U.S. to the very brink of extinction. Wolves have just begun to recover in some areas of the country. Since the effort to restore wolf populations began in 1980's, we have had some great successes, and we now have wolves in the northern Rocky Mountains and the Midwest. But it is too soon to remove wolves from the federal endangered species list, as several courts have confirmed. Continued federal protections are critical to securing the fragile recovery of existing wolf populations and allowing wolves to expand into other suitable habitat. Any legislation that interferes with existing federal wolf protections would be harmful to wolf recovery in the United States. It would also undermine the Endangered Species Act (ESA), one of our most effective and important environmental laws. Unfortunately, the 2011 appropriations rider that removed federal protections for wolves in parts of the northern Rocky Mountains has generated further congressional attacks on the ESA. This "death by a thousand cuts" erosion of the ESA must be stopped. Again I urge you to oppose any legislation that undermines existing federal protections for wolves.